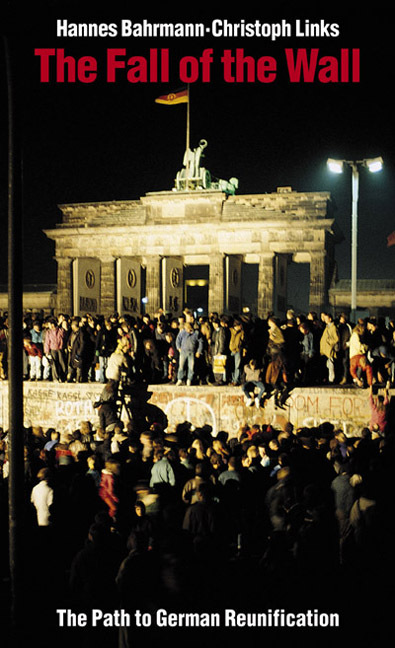 The dramatic events of Fall 1989 in East Germany changed global dynamics forever. These were the days of peaceful mass demonstrations, as East German citicens took the offensive in the struggle for freedom and democracy and the ruling party and its security organs gradually forfeited their power. After the collapse of the SED regime, a variety of citizens' movements and parties debated many possible ways of changing the political and social system in East Germany. But on March, 18, when the first free elections took place, voters gave a clear victory to the conservative Alliance for Germany and its program of rapid joinder with West Germany. The book documents the period of the so-called WENDE, from October 7, 1989 to March, 18, 1990, following developments day by day and reconstructing the road to German Reunification.